Every great adventure begins with the statement ‘what if..." Our great adventure began in the summer of 2002, over pints in a small pub in Edinburgh, Scotland. I had long wanted to be involved in the beverage industry. When I moved to Scotland to earn a Masters of Science degree in brewing and distilling, I discovered the art and science of producing spirits. From the selection of a particular yeast strain and its effect on flavor, to learning about the importance of using full-sized barrels during whiskey maturation, I was hooked. State Line Distillery is a combination of hard work, great partnerships, and of course the commitment to produce the finest grain-to-glass spirits. We hope you enjoy drinking our spirits as much as we enjoy crafting them for you. We look forward to raising a glass with you in the cocktail lounge. Cheers! The founder of State Line Distillery is a man named John Mleziva. Muh-LEZ-i-vah. His Czech heritage can be blamed for the preposterous confluence of consonants and vowels from which his last name is assembled. He attended UW-Eau Claire as an undergrad before attaining a Master of Science Degree in brewing and distilling from Heriot-Watt University in Edinburgh, Scotland in 2012. He's left handed. He sings baritone with the Madison Choral Project. He's been skydiving in Switzerland. He and his wife have a new daughter, Chloe. He was once an emergency medical technician. As a teenager, he had frosted tips. He's an excellent swimmer. He's been glacier-climbing in Alaska. The basement of his childhood home, though located in suburban Minneapolis, was a near fetishistic shrine to the glory of the Green Bay Packers. He has owned several shelties. He's pretty hairy. At age 17, he organized a pay-to-play squirt gun game called "Assassination" for several hundred of his high school classmates which dictated virtually every element of their lives for almost a month. Each year, he rides his bicycle from Duluth to the Twin Cities to raise money for MS research. He was once spared from injury when he fell down a flight of stairs because he was wearing a giant sombrero. It rained on his wedding day. He swears prolifically. He's a speedy walker, a clumsy bowler, a Singing Statesman, and he's eternally devoted to his craft. He also snores. Mark grew up on a small farm in the Northwest, then decided to rebel and move to the big city to make Art. He fell in love with a girl, and together they moved to a bigger city. He paid the bills with office jobs, while having way more hobbies than his small apartment had room for - anything fermented was of particular interest. One day, Mark concluded that pushing pixels wasn't good for his long-term sanity prospects, and he decided to make fermented things instead. 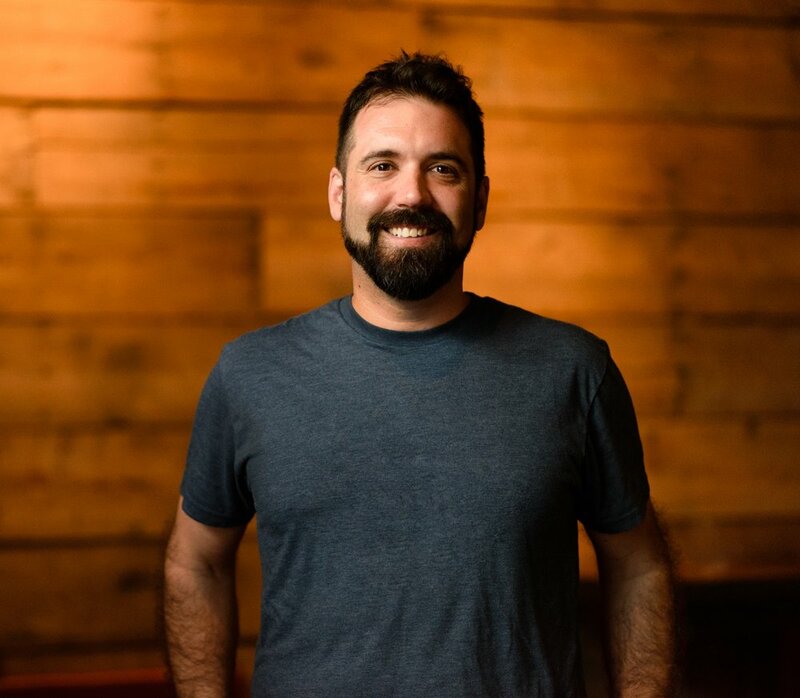 Mark found a production job at a new distillery in Evanston, Illinois, and spent a few years learning and growing with the company faster than he thought possible. Mark and his partner had a kid, and changed things completely, as they do. This cute little agent of chaos got Mark and his wife dreaming of a place where they could raise their growing brood. Somewhere family friendly, with a great university, outdoorsy, cultured, and of course great food and drink. Hmmmm... what about Madison? As Mark + family were making the leap to Madison, he reconnected with John Mleziva, who as chance would have it was starting a new distillery. Yes, Madison will do nicely indeed. When Mark isn't at the distillery he's trying to get his kids into a canoe/sled/bike, reading Sci-Fi, pretending to know Linux, or starting some new hobby that he doesn't have room or time for. Mike has been behind the bar in some capacity for years now and let's just say he knows a little bit about the water of life. He started his professional career with Bittercube Bitters based out of Milwaukee. With Bittercube his focus ranged from cocktail creation and training to crafting bitters and doing research and development on new products. He also spent those years leading his community as the President of the Milwaukee Chapter of the United States Bartenders' Guild (USBG). He has since left his hometown to branch out on his own. He moved to Madison to curate a bar program and quickly joined Madison's already thriving cocktail culture. At the same time and after providing some guidance from his experience as President of the Milwaukee USBG he and some colleagues decided it was time to form a chapter here in Madison. They quickly formed one of the fastest growing chapters in the nation and he was elected Vice-President of the Madison Chapter. Naturally he didn't want to stop there. Chef Dan Bonnano of "a pig in a fur coat" knew Mike was interested in new projects and that he wanted to grow as a consultant. He introduced Mike to John and the rest is history. Since we've opened Mike has also embarked on a journey of his own with our wholehearted support. He started a craft ice/consulting company with Milwaukee bartender/consultant Joey Houghtaling, Beaker & Flask Beverage Company. Together they focus on distributing crystal clear cocktail ice, bar consulting and will be working with us on new products and projects. Their ice is featured in our cocktail lounge and available for purchase there as well. 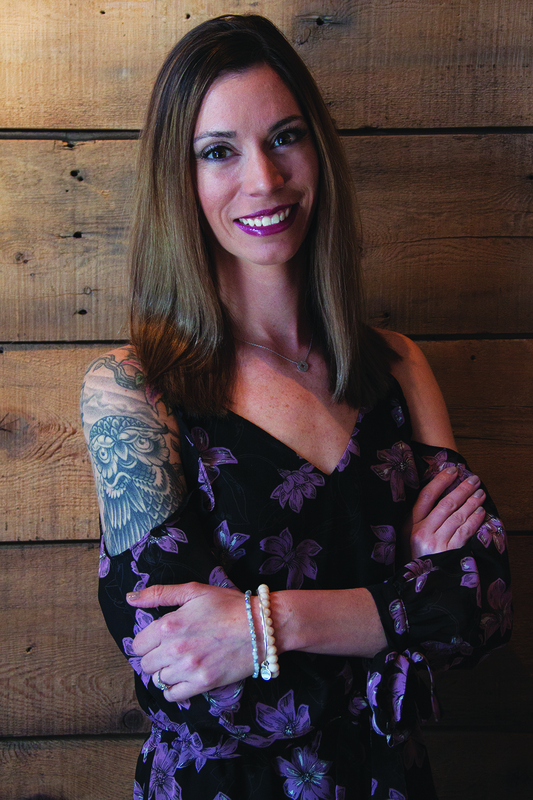 Melissa started her hospitality career at 19, working as a Reservations & Event Specialist at Moving Mountains Chalets in Steamboat Springs, CO. She loved it so much that she decided to move back to Madison to attend Madison College where she obtained her Event Management Associates Degree in 2014. She enjoys all aspects of planning events, especially when she has the ability to customize and help create a vision for her clients. Working at a distillery just made it all that much better for her! She has spent the last year as the 1st Vice President at NAWP – Madison Area Chapter of Wedding Professionals. In addition to this, she also volunteers for Reach-A-Child serving on their Development & Gala Committees, Mikayla’s Grace, and Runs with Rock’n’Roll Events as a St. Jude Hero to raise money for St. Jude Children’s Research Hospital. She is an avid supporter and fundraiser for Make-A-Wish America and March of Dimes. When Melissa is not creating experiences for others, she spends her time exploring the world or perfecting themed birthday parties for her daughter, Amia. Some of her favorite places include Paris, Cornwall in South West England, and Nashville. Some destinations up next for her include Philadelphia, Portland Maine, New York City and of course France … which is on permanent repeat until further notice. She enjoys yoga, reading, personal development podcasts, sushi and of course- tasty beverages! She is thrilled to be a part of an inspirational team at State Line Distillery. Whether it be a brunch wedding reception, an intimate gathering or corporate function, State Line Distillery offers a remarkable experience.